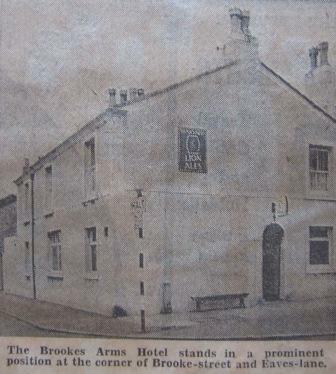 The Brooke's Arms was situated on the corner of Brooke Street and Eaves Lane in Chorley and was known as "The White House" for many years. 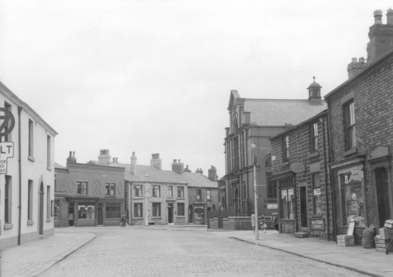 It first appeared on records as an Inn in 1844 although the building was once called Crosse Hall Mill Farm, which appears in lease documents as far back as 1788 and was part of the Crosse Hall Estate, established by Richard Crosse in the early 15th century so the exact age of the White house is not known. 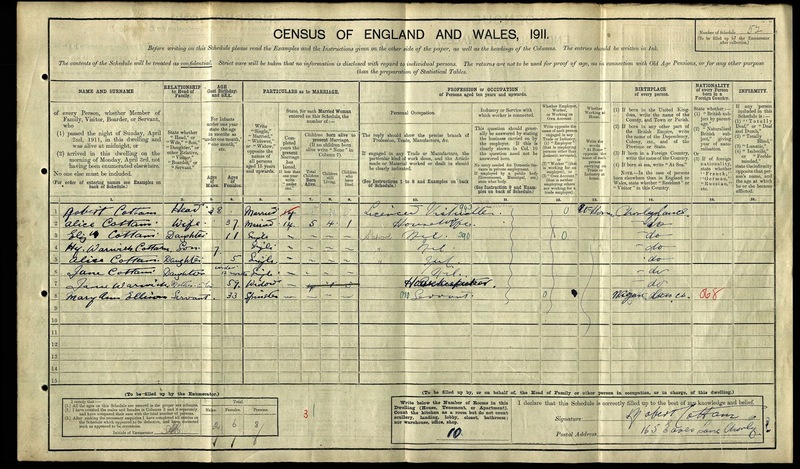 The landlords recorded were Thomas Brindle (1841), Henry Kellett (1846), John Banks (1851), John Rutter (1861), Richard Parker (1861), Edward Banks (1865), Andrew Myerscough (1871-74), James Wilding (1879-), Edward Fishwick (1901), Robert Cottam (1911) and William Henry Haworth (1936). 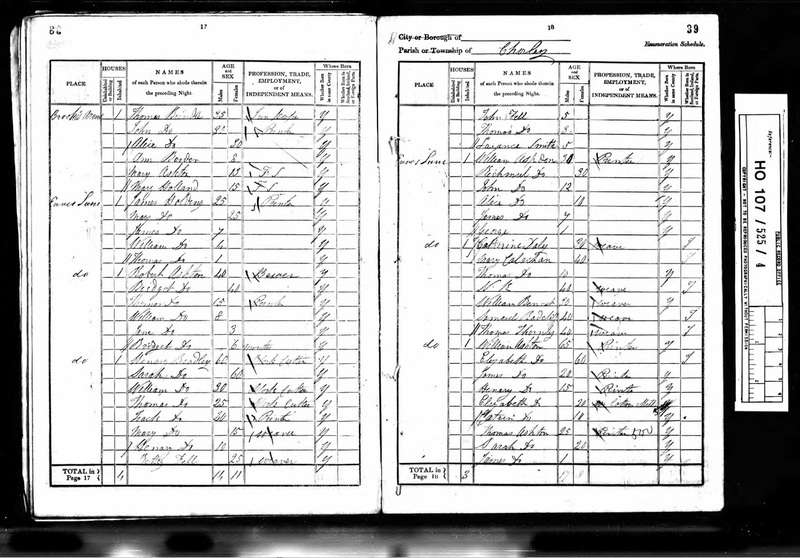 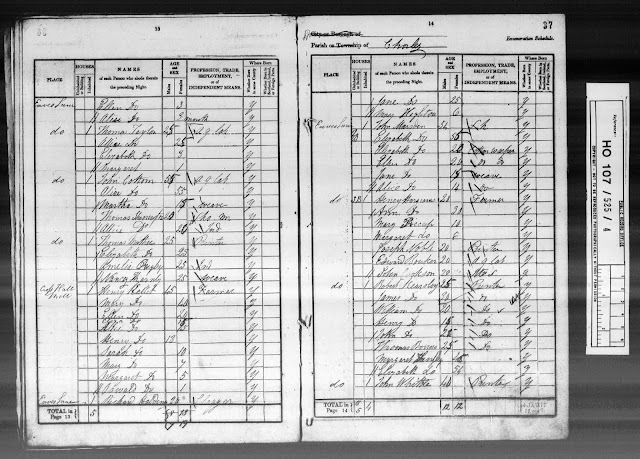 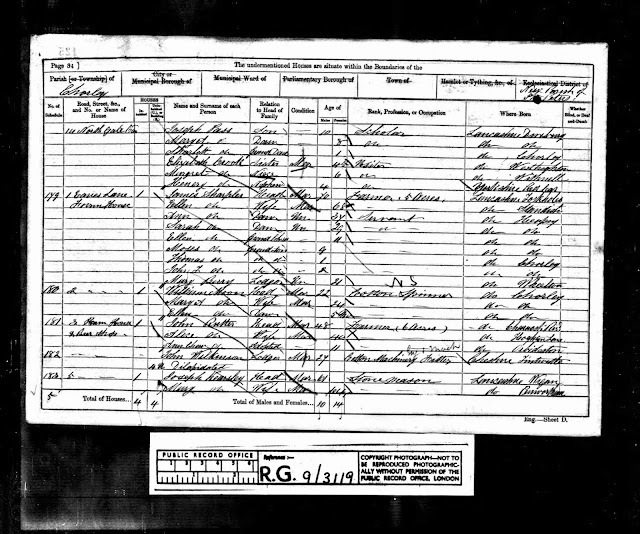 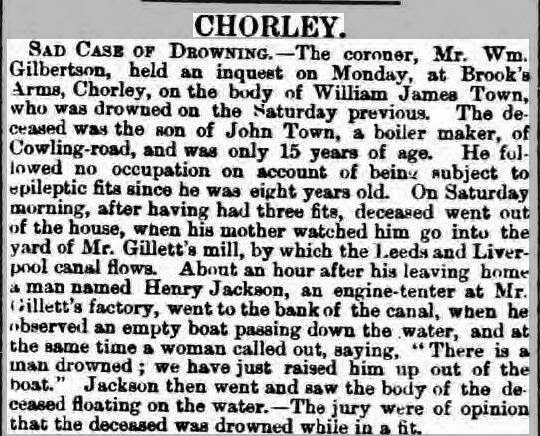 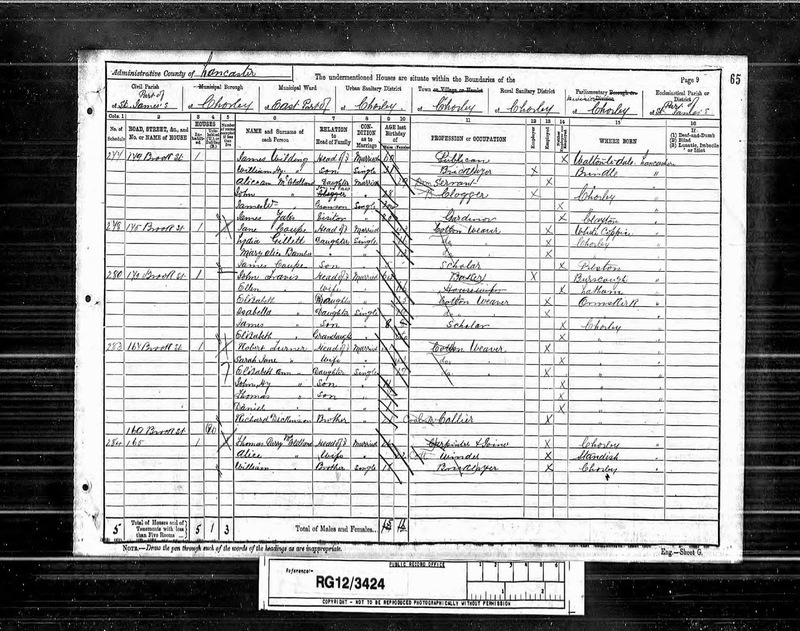 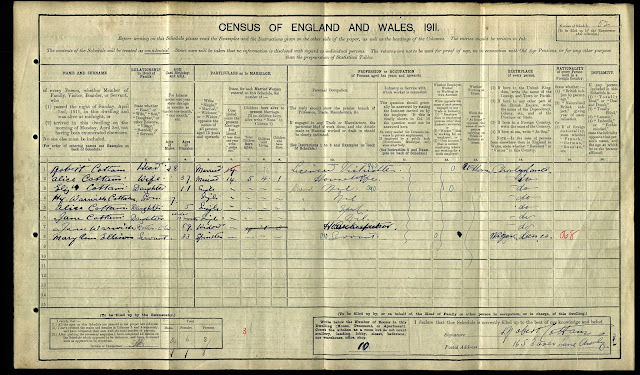 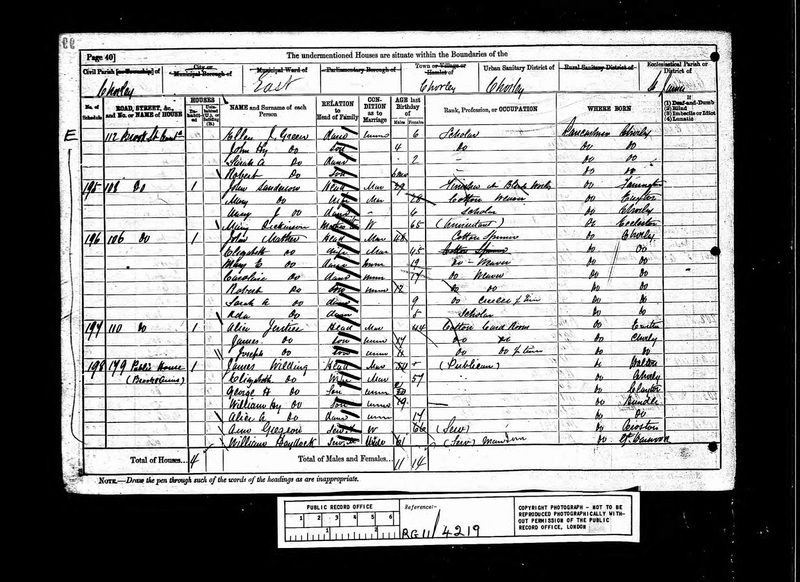 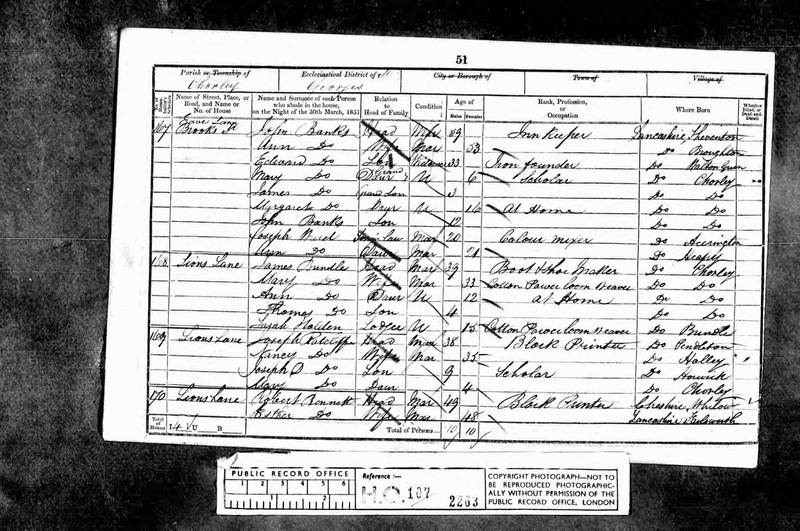 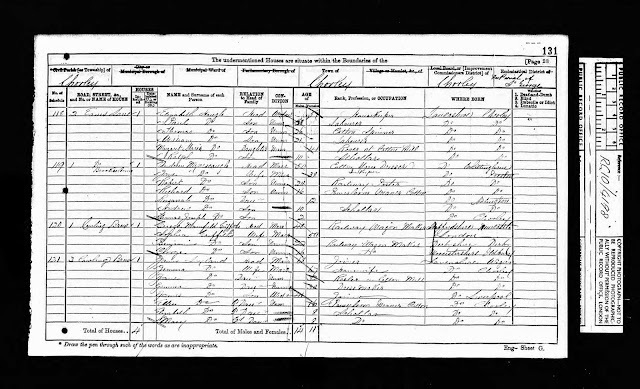 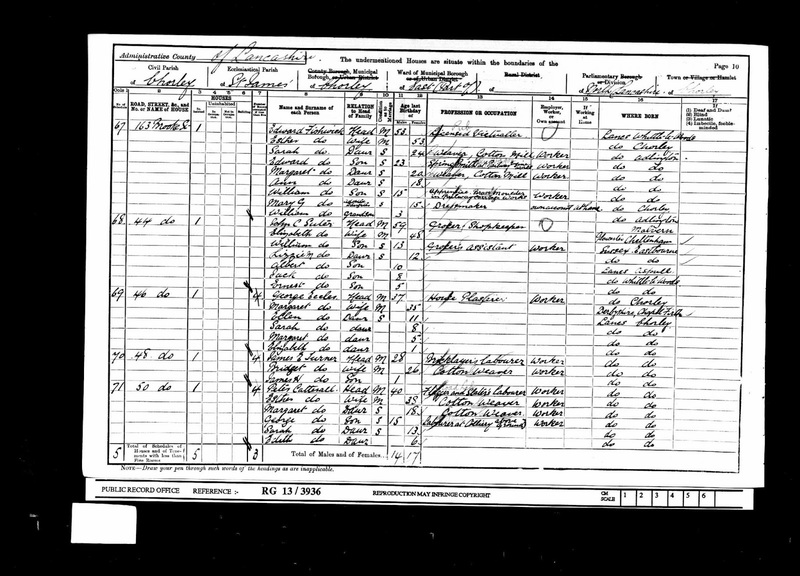 Henry Kellett is shown below living on Eaves Lane in 1841 recorded as a farmer at the Crosse Hall farm. 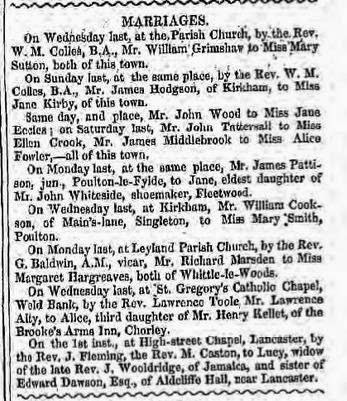 The marriage announcement below confirms he was the landlord at the Brooke's Arms Inn by the mid-1840's. 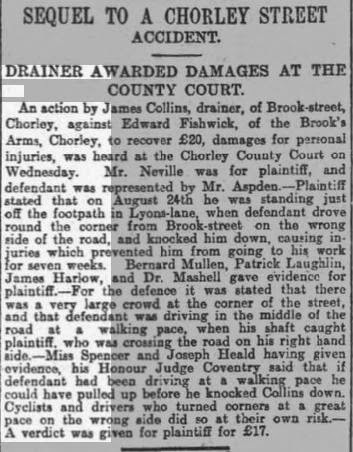 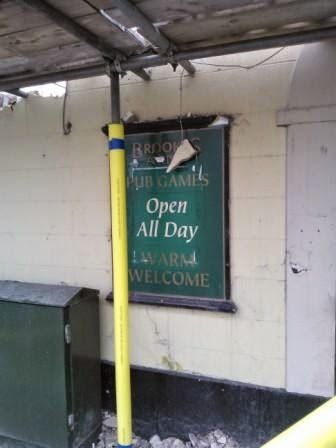 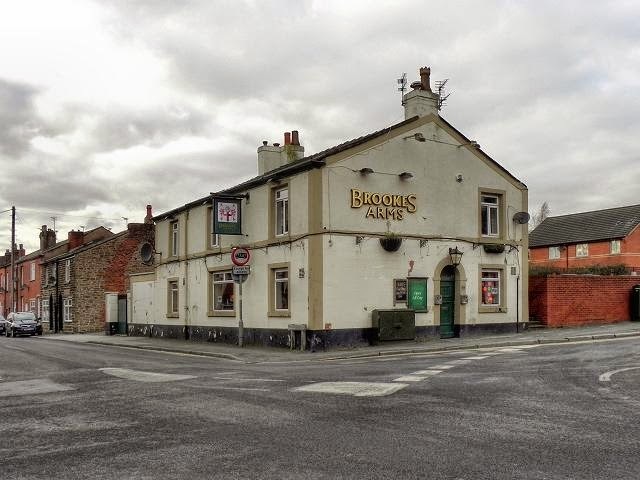 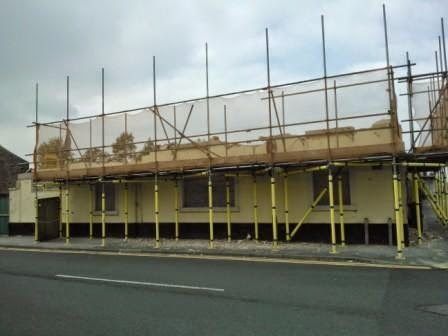 The previous landlord Thomas Brindle had moved further down Eaves Lane to the Derby Arms by this time. 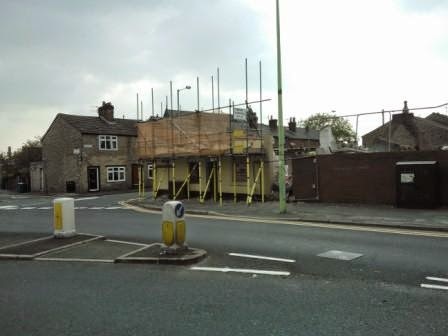 After many years lying empty and falling into disrepair the building was finally demolished in 2014.